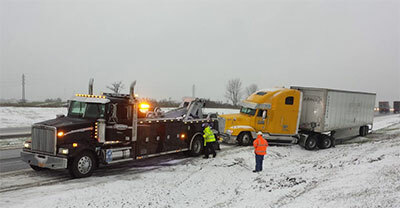 For emergencies on the Thruway please call 1-800-842-2233 or 911. The Thruway Authority is firmly committed to providing a high level of safety and service. This can only be achieved through a sound and well-maintained infrastructure of highways and bridges. 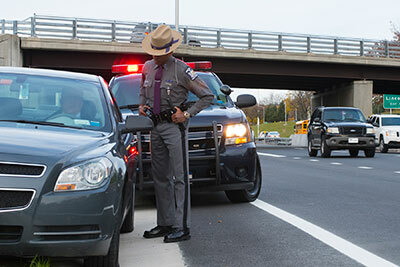 As a result of innovative and continuous safety improvements, and a dedicated State Police Troop, the Thruway has continuously been recognized as one of the safest superhighways in the nation. A primary measure of safety is the fatality rate, which is calculated as the number of fatalities per 100 million vehicle miles (MVM) traveled. In 2016, there were 14 fatal accidents on the Thruway resulting in 15 deaths, reflecting a fatality rate of 0.16. The fatality rate along the Thruway remains significantly below the national average as calculated by the National Center for Statistics and Analysis (NCSA) of the National Highway Traffic Safety Administration. Disabled vehicles should not stop in the travel lanes. If possible, move well off the roadway, or to the next exit or another safe location. New York State law permits motorists to move vehicles to a safe spot following an accident or breakdown. Tie a white cloth to the left door handle or radio antennae and wait for help to arrive. For your own safety, stay with your vehicle. For the safety of all Thruway travelers, only authorized Thruway garages are allowed to service disabled vehicles on the Thruway for minor repairs. Thruway fuel stations no longer offer this roadside service. Minor repairs include tire changes, battery boosts, and supplying fuel. To contact a garage closest to you call 1-800-842-2233. Do not stop in the travel lanes. If possible, move well off the roadway or to the next exit, or nearest safe location. New York State law permits motorists to move vehicles to a safe spot following an accident. Place flares or reflectors on the shoulder to alert oncoming motorists of your situation. Do not walk along the Thruway. Stay with your vehicle and wait for help to arrive. If you make your own repairs, keep yourself, tools and parts well off the travel lane. We invite you to take a brief survey to share your opinions about the New York State Thruway Authorized Towing Program. Your answers will help us to evaluate the efficiency of the program and help to identify any improvements that may be made to enhance the Towing Program. Authorized off-Thruway garages handle towing and major repairs that cannot be done along the Thruway. The garages also provide both roadside and major repairs on the Niagara, New England and Berkshire sections and I-287. To contact a garage closest to you call 1-800-842-2233. A standard roadside service charge prevails 24 hours a day on the Thruway. Labor and materials are additional. These rates are comparable to off-Thruway rates. For more information, please call 518-436-3079. Charges by authorized garages for towing are based on initial hook-up and subsequent miles towed and are competitive with off-Thruway prices. For more information, please call 518-436-3079.